Crime-thrillers can be simple mysteries. Or police procedurals. Or action adventure. Or social commentaries. Or great literature, delivered in a populist wrapper for mass consumption. JLB writes all of the above, and this is one of his best. If you’ve never read a James Lee Burke book, and might only ever read one of his complex examinations of America’s underbelly, then this is the one to read. 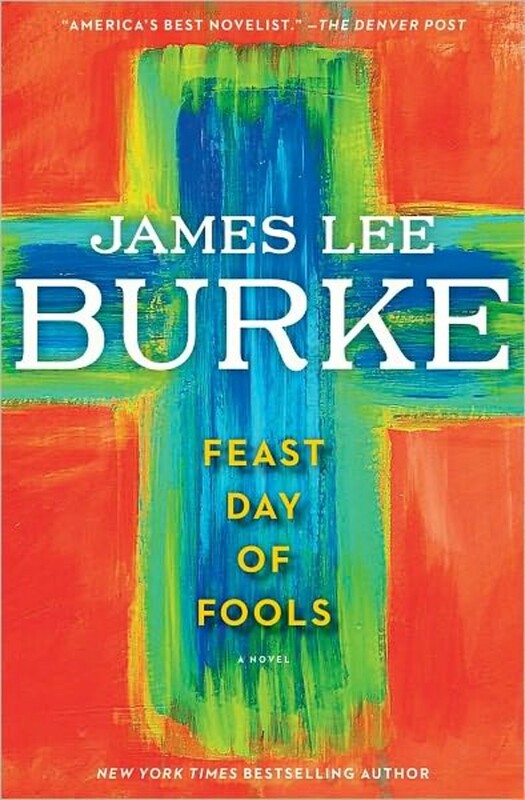 If you’ve dabbled with his Dave Robicheaux stories but not yet met Hackberry Holland then, again, Feast Day of Fools comes recommended. It unites the recurring themes of Burke’s extensive writing career and delivers them in a relentless cascade, a compelling narrative of bad men doing bad things. And of good men trying to do the right thing. And everything else in between. The action is set in modern times in Texas on the Mexico border, where 70-something Hackberry Holland is a small-town sheriff trying to keep a lid on several simmering situations. You don’t need to have met this character before to understand his predicament. In many ways it’s similar to ‘No Country For Old Men’, except in this reality it is the old men who have caused the problem. All the problems, in fact: not just an isolated incident which could be blamed on a single sociopath, but the whole industrial-military chain of corrupted command which JLB seems to suggest has eaten away over half a century at society’s moral centre. Hackberry is far from innocent but his past (and acknowledged) iniquities make him ideally placed to recognise bigotry, and to defend against brutality when it crawls out of the canyons and drags down the weakest citizens. There’s several plots going on all at once, part of a greater whole which we normally only see in isolated incidents. The conflicting interests of government agencies, drug smugglers, freedom fighters, illegal immigrants, undercover investigators and whistleblowers become wrapped around each other in a mesh of escalating intensity. Occasionally the situation generates an unexpected moment of righteousness, a possibility of redemption in even the weakest character. And it is in those moments that JLB weaves his narrative. It takes some concentration to get the best from this book. You need to pace yourself and allow space to become absorbed in the rhythms of speech and friction which define the protagonists. Feast Day Of Fools delivers fully-formed believable characters struggling through impossible situations. They feel like real people; frequently neither good nor bad. The plot reveals moments of breath-taking brutality and others of teardrop poignancy. Every person tells their version of their truth and all of them have some credibility, even the most unhinged, extreme and irredeemable brutes who relentlessly propel the plot towards its no-holds-barred conclusion. There are echoes of James Crumley in here, and plenty of Clete ‘n’ Dave. The language is dense and textured and occasionally oblique. The dialogue sometimes leaves you puzzled about what just happened – and at times the characters’ propensity towards unpleasant interaction is overwhelming. Even lifelong friends can be brutally unkind to each other. It’s also not entirely flawless – there is some repetition throughout, and the ending feels like it’s been toned down from the most likely outcome. But overall the writing is absorbing to the point of mesmerism: start this book only if you have long hours to devote to its tangled story of death and redemption in the Texan wilderness.